LIAM 006 - Personal Branding: The Art of Being Present - Life Is A Marathon: Life Coaching | Mentoring | Personal Development | Positive Thinking | Personal Branding - The #1 Podcast to help you train for this marathon of life! In Episode #6 of the Life Is A Marathon show, I urge you to stop thinking that multitasking is a good thing. It’s not! I talk about the benefits, personally and professionally, of practicing the art of being present–giving your undivided attention to people. This another “personal branding” episode designed to help you build a life–your brand–that people want to engage with and promote. Tip for men: Women find it very attractive when a man gives them undivided attention! All of your relationships, personally and professionally, benefit from you being present in the moment. 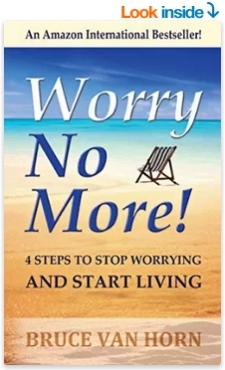 Bruce Van Horn – LifeThought: When things aren’t adding up, start subtracting! 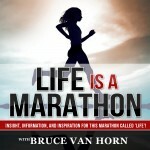 Bruce Van Horn – LifeThought: Wherever you are, be all there! Thank you so much for your message. At first I found it quite hard to just listen and not open other windows on my laptop to check emails or read information. I finally then just focus and sat up with my hands on my lap, which made a big difference. Multitasking will not be my priority now, but being in the moment and giving my undivided attention!